Can you say big balls? How about blue balls? 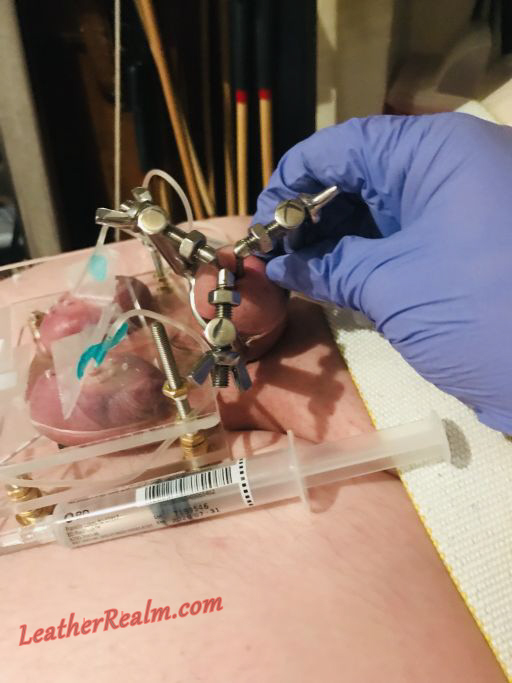 LOL As you can tell by My eye candy below as well as on the Video Gallery, I amused Myself with My balls between sub jason's thighs by infusing them with 16ml of saline in each. And yes, that was only the beginning.